Lesson learned the last 3 weeks: the waiting game is a very painfuuuulll one. After sending my appeal to the UK border agency (they rejected my application over a paperwork mix-up) they said they'd get back to us within 10 days. Tomorrow is the 10th day. EEEeeee! So hopeful and so ready to get on that plane to London. In the mean time, Kurt and I have been packing and prepping. Kurt's undoubtably put in over 10 hours of flat hunting. It's becoming very apparent how small our flat will be. If not a studio, it'll be a small one bedroom flat. I've been thinking about how I can make such a small space feel like home and I've found a lot of inspiration the last few days. My mother-in-law has a House Beautiful subscription and this month's cover caught my eye immediately. 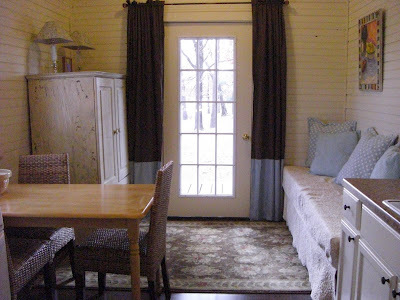 Inside I found two articles on decorating a 295 square foot room and a 650 square foot studio. Every piece of furniture and color matters in a small space and I love how everything meshes so well in the rooms the designers put together. 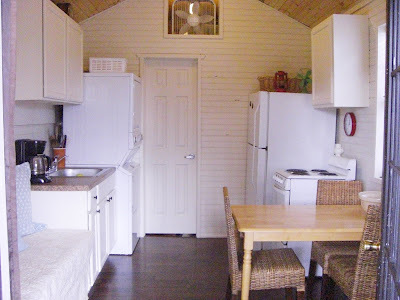 Awhile back I came across an awesome blog, Life in a 320 square foot Cottage. This week I went back to see how she uses every inch of her space for efficiency & enjoyability. 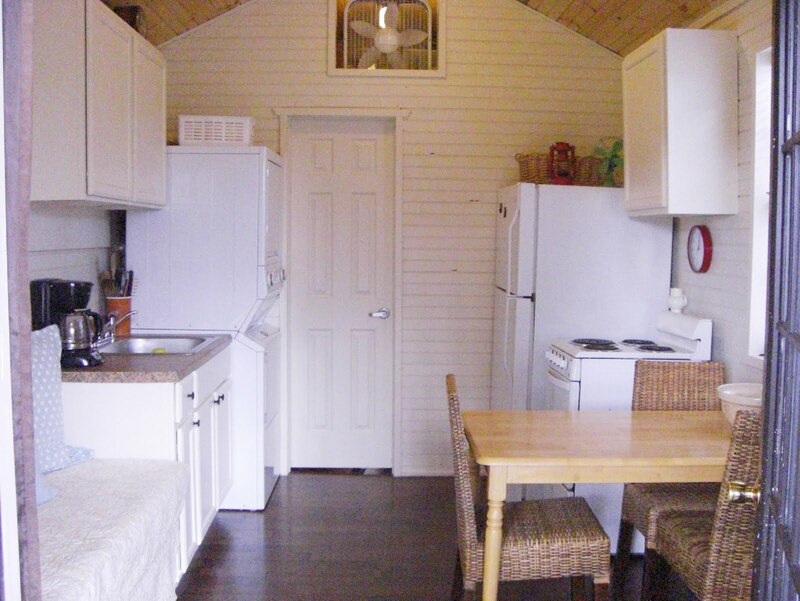 Here are a few photos of her cottage. Isn't it quaint? I found the most inspiration from Apartment Therapy though. What's the smallest space you've ever lived in? What did you do to make it feel homey? I think that is one of my most favorite things to read about...how to live in such a small space. I don't know as I'd be good at it, I mean like 240 sq. ft isn't a lot! But I'm amazed at what all those people did. Looks like you have a lot of good inspiration! :) Praying you get an answer tomorrow! Chet, yes! I think I've seen that blog before...too bad we won't be living in a cabin that you can pull around. That would be awesome. Sarah, how awesome! I'm looking at her blog now. My husband likes the fact that her husband is a theologian, haha. We're moving to England so he can study theology.